DNA analysis has revealed the identity of the "cursed blood" disorder that afflicted the British Royal Family in the 19th and early 20th centuries. Scientists say the disease inherited by Queen Victoria's descendants was probably a severe form of the blood clotting disorder haemophilia B. The scientists examined DNA samples extracted from the skeletal remains of Russia's Romanov family. Their analysis included the remains of Queen Victoria's great grandson Crown Prince Alexei. Scientists already knew that males of the Royal Family at that time suffered from a type of haemophilia. But their latest analysis of the remains of Victoria's Russian descendants helped identify the exact form. Modern analytical techniques allowed the scientists to amplify the very degraded DNA. They discovered a mutation in a gene on the X chromosome that codes for the production of Factor IX, a substance that causes blood to clot. This genetic mutation is the cause of haemophilia B. Because this blood disorder is linked to the X chromosome it passed on through the maternal line, but is only manifested in male descendants. This is because males have only one X chromosome, so the mutation on that single chromosome is "expressed" as the disease. Females only carry the disease, because their second X chromosome is extremely unlikely to have this same, very rare mutation. Dr Evgeny Rogaev from the University of Massachusetts led the research. 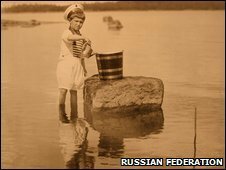 He told the BBC that it was the "final chapter" in the confirmation of the Romanov family's remains. 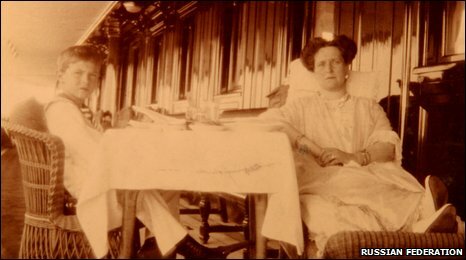 He added: "We have resolved a medical mystery from the past." Cousin marriage: Is it a health risk?